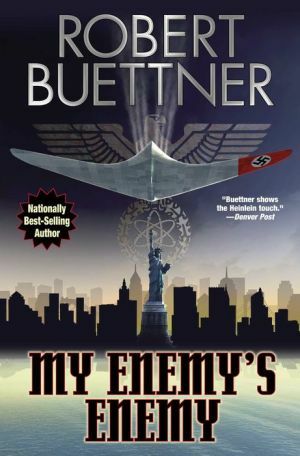 In September 1939, Nazi Holocaust mastermind Heinrich Himmler conscripts brilliant physicist Peter Winter to devise a secret weapon of supreme power, and to create a revolutionary aircraft to deliver it. Peter, and his Jewish wife, Rachel, know they may only be able to slow Himmler down, and not stop him from developing the ultimate weapon. In modern-day Pakistan, the elite terrorist known as the Asp survives a U.S. drone strike, then undertakes a solo mission to penetrate America’s heartland to wreak destruction. Meanwhile, ambitious aircraft historian Cassidy Gooding and irascible Colorado cowboy Frank Luck unlock an aviation relic’s secret and discover the terrible truth the Asp may be closing in on. Now high atop North America’s backbone, old secrets collide with new, and Cass and Frank must prevent the possible massive devastation of an American city—or die trying. If they fail?